What Is Game Center and What Happened to It? Apple's iOS — the operating system that runs on the iPhone, iPod touch, and iPad — is arguably the leading mobile video game platform, surpassing offerings from both Nintendo and Sony in popularity. The games available for the iPhone and the iOS are great, but gamers and developers have learned that games get even greater when you can play your friends head to head over the internet. That's where Apple's Game Center comes in. Game Center is a set of gaming-specific features that let you find people to play against and compare your stats and achievements against other players. Getting Game Center requires nothing more than iOS 4.1 or later, up to but not including iOS 10. If you have a device that runs anything older than iOS 10, you very likely have Game Center on it. You also need an Apple ID to set up your Game Center account. Because Game Center was built into these versions of iOS, you don't need to download anything other than compatible games. Game Center also works on the Apple TV and certain versions of macOS. What Happened to Game Center in iOS 10 and Up? Since its introduction, Game Center was a standalone app. That approach changed with iOS 10 when Apple discontinued the Game Center app. In place of the app, Apple made some Game Center features part of iOS itself. Relying on app developers to support Game Center makes using these features a tricky thing. Developers can support all Game Center features, some of them, or none at all. There's no consistent experience of Game Center at this stage, and it's difficult to know what features, if any, you'll get from a game before downloading it. Game Center:​ Leave this slider moved to on (green) to enable Game Center to show what features are available to you. Nearby players: If you want to play head-to-head games with other nearby gamers, move the Nearby Players ​slider to on (green). Assuming you have a Game Center-compatible game and Wi-Fi or Bluetooth turned on, they can invite you to play. Game Center profile: Control the name of your Game Center profile and how you're listed to other users who invite you to games. To change it, tap the name below Game Center Profile. Tap the Nickname field and type a new name, then tap Done. Friends management: One of the strangest changes to Game Center in iOS 10 and up is that you can no longer add and delete individual friends from your Game Center network. Now, your only option is to remove every Game Center friend you have. Because there's no way to add friends right now, be very certain this is what you want before doing it. To remove friends, tap Remove All Game Center Friends. Then, tap Remove All Friends in the pop-up window. Finding Game Center-compatible games used to be simple: You could browse or search for them right in the Game Center app. They also were clearly labeled in the App Store with a Game Center icon. That's no longer true. Now, games don't clearly indicate anywhere that they support these features. Finding them is rather trial and error. That said, you can search the App Store for "game center" to try to find compatible games. Most or all of the apps such a search surfaces should offer at least some Game Center features. Figuring out which games support Game Center is tougher than it used to be. When you launch a game that supports Game Center, a small message slides down from the top of the screen with the Game Center icon (four interlocking colored spheres); the message says, "Welcome Back" and shows your Game Center username. If you see that message, the app supports some Game Center features. Because not all games that support Game Center offer all of its features, instructions for using those features will be incomplete or inconsistent by definition. Different games implement the features differently, so there's no one way to find and use them. That said, many games still support multi-player games, head-to-head matchups, and challenges. The first two types of game are pretty self-explanatory. Challenges are where you invite your Game Center friends to try to beat your scores or achievements in a game. Finding these features will be different in each game, but good places to look for them are in leaderboard/achievement areas, under the Challenges tab. Many Game Center-compatible games track the achievements you've unlocked and awards you've earned. To view them, find the leaderboard/achievements section of the app. It's indicated with an icon that you'll associate with winning or stats. These might include a crown, a trophy, a button labeled Game Center in an options menu, or in the stats and objectives menus. Those won't be the only options, but you get the idea. Achievements: These are your in-game successes. Each game has a different set of achievements for particular goals or tasks. They're tracked here. Leaderboards: This shows your ranking on various criteria compared both to your Game Center friends and to all players of the game. Tap the camera icon or record button (again, the specifics may be different in different games, but the ideas are the same). In the pop-up window, tap Record Screen. When you're done with the recording, tap Stop. 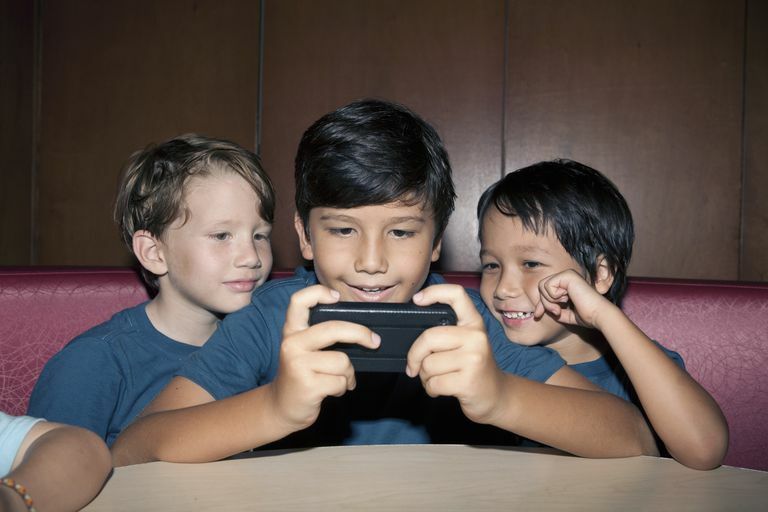 Parents concerned about their children interacting with strangers online can use Game Center's parental restrictions to turn off its multiplayer and friend features. This feature still allows children to track their stats and ​achievements but insulates them from unwanted or inappropriate contacts. Because Game Center is no longer a standalone app, you can't delete it or its features. If you don't want those features to be available, parental restrictions are the only option.